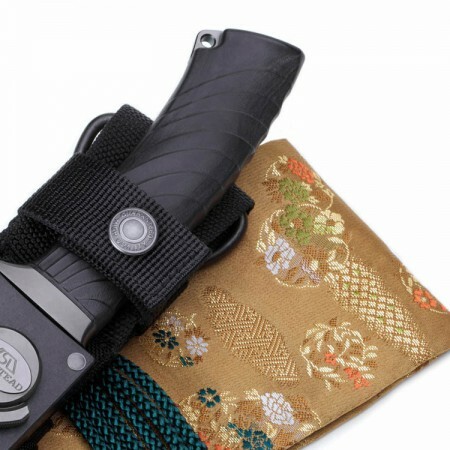 Handle: Katana handle wrap – Stingray – 2x Menuki – wrapped in yellow (KINCHA). 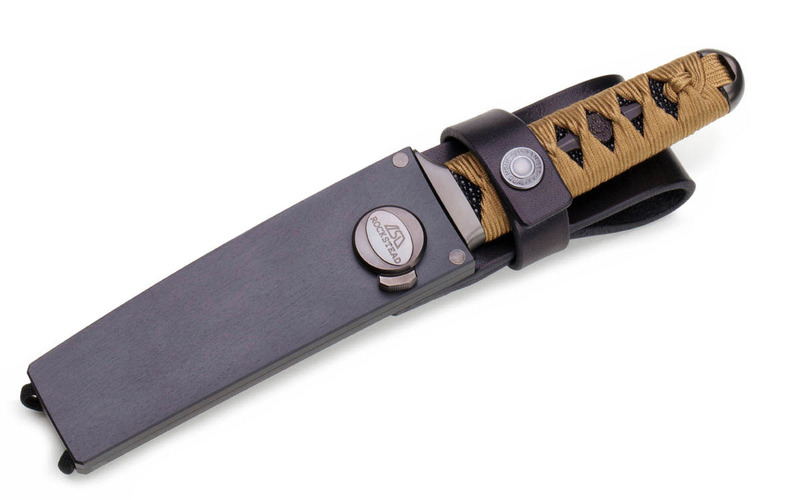 Scope of delivery: knife sheath, cloth bag, product specification sheet, guarantee policy. Please note: The colours of the elements made of leather and of wood micarta in particular may vary from those of the models shown. 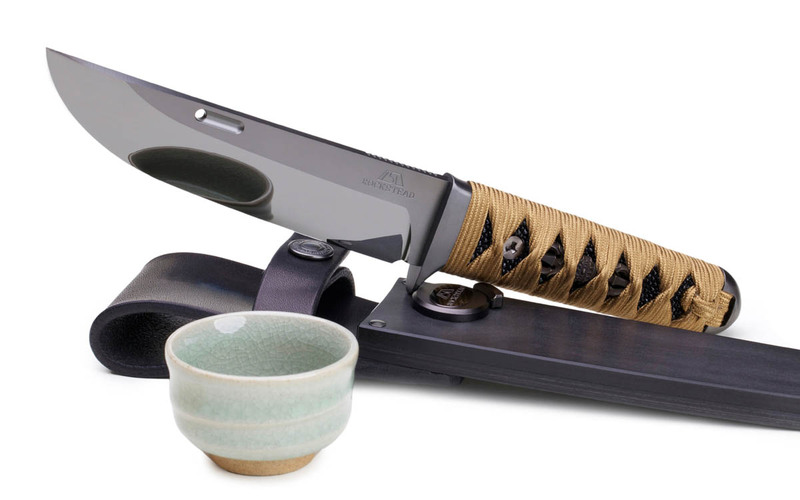 The 運 UN is one of the premium models in the ROCKSTEAD Sheath Knife category. 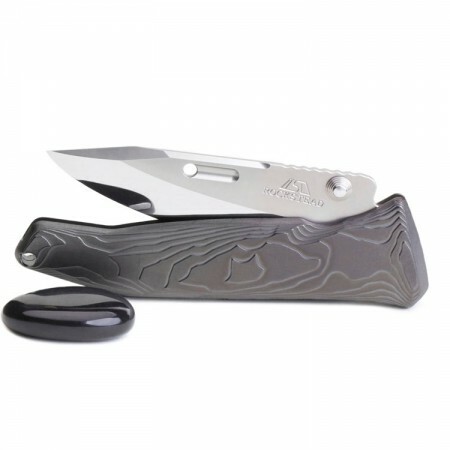 More than any other ROCKSTEAD knife, it is the manifestation of a combination of innovation and tradition. The perfectly formed blade of the 運 UN represents the height of current technical feasibility in the manufacture of knife blades. The handle of the 運UN is manufactured specifically for the 運 UN in a specialist workshop. 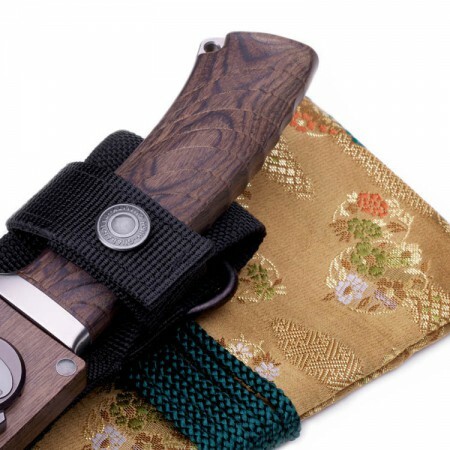 It resembles a Japanese katana down to the finest details and is available in blue (TETSUKON), yellow (KINCHA), green (UGUISU) and red-brown (AZUKI). 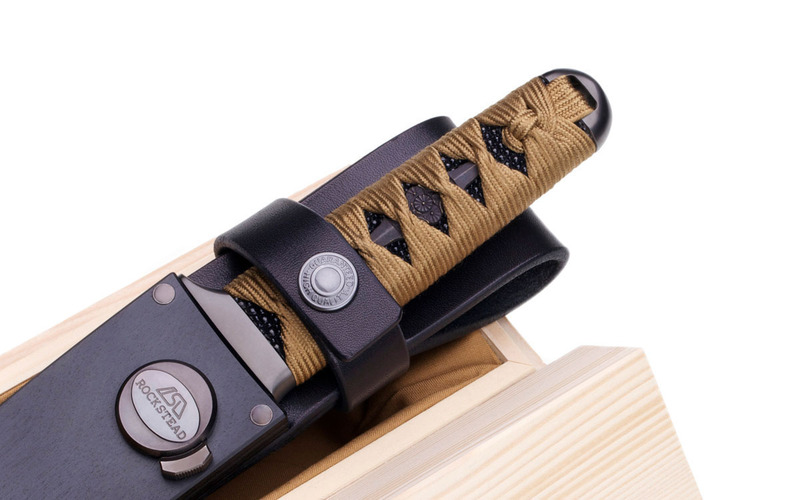 The elaborately constructed, very robust sheath of the 鈍 DON has a friction-activated lock system and is manufactured from wood Micarta. 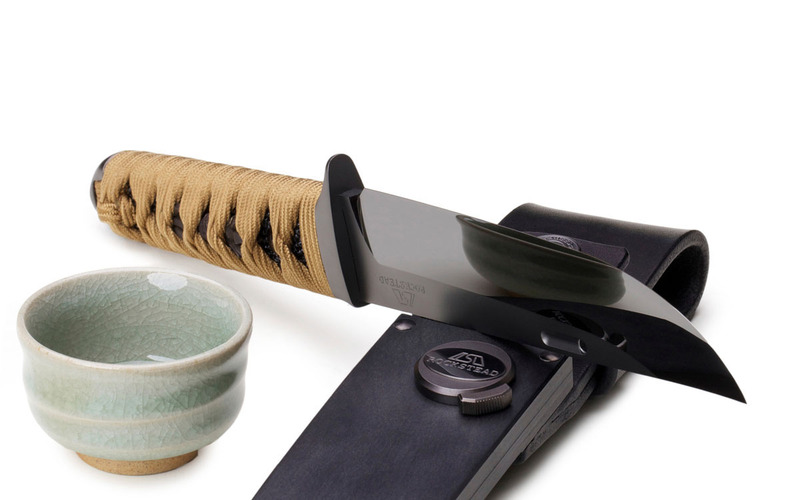 Note: The ROCKSTEAD model 運 UN is a further development of the 義 GI model. 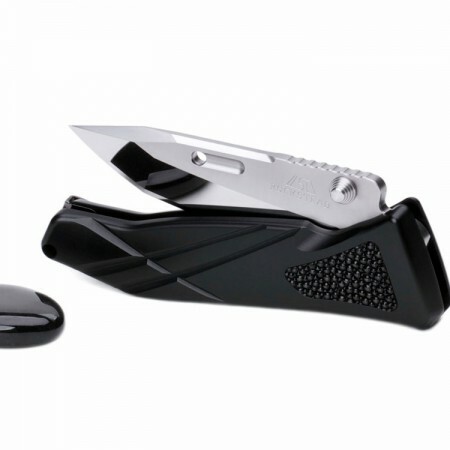 The shape of the blade, the mirror polish and the knife sheath have been further perfected. The handle of the 運 UN can be swapped.